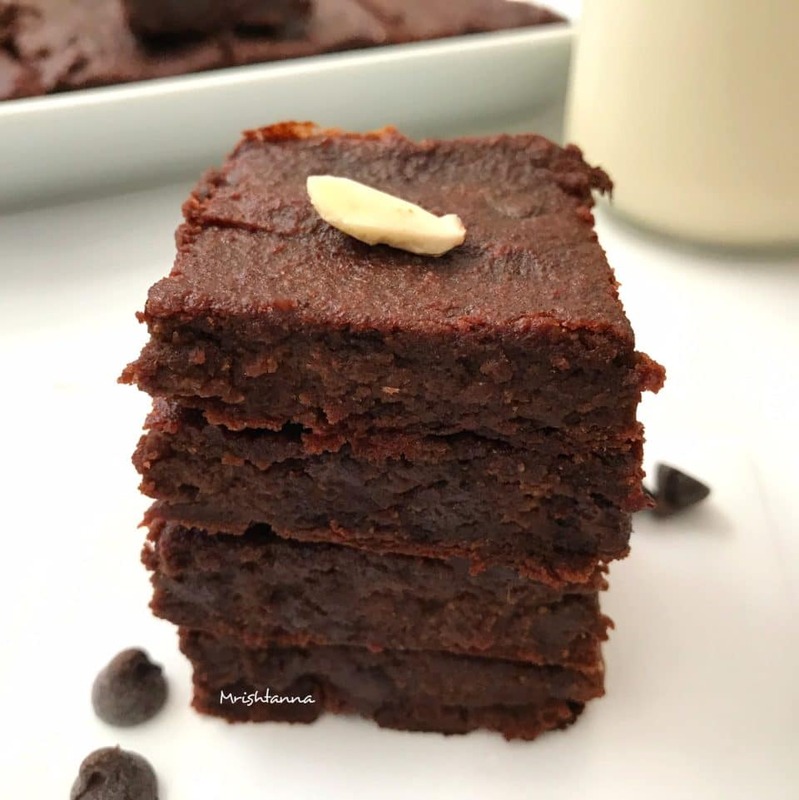 Refined Sugar-Free, Gluten-free Easy vegan Brownie! Easy Vegan Brownie is unique in that it pairs well with coffee as well as ice cream. It is not the season for ice cream now, but a hot cup of coffee paired with a warm vegan brownie is definitely a go. I have not yet met someone that does not like brownies. 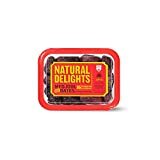 Today, I am sharing one vegan version of this baked delight. You can also subscribe to my newsletter and you will get my recipes sent to your inbox. I have also put together other vegan dessert recipes such as this and dessert essentials in the form of a short e-book. Just sign up for my newsletter if you have not done so already and you will get a copy. Here are the recipe detailsâ€¦. 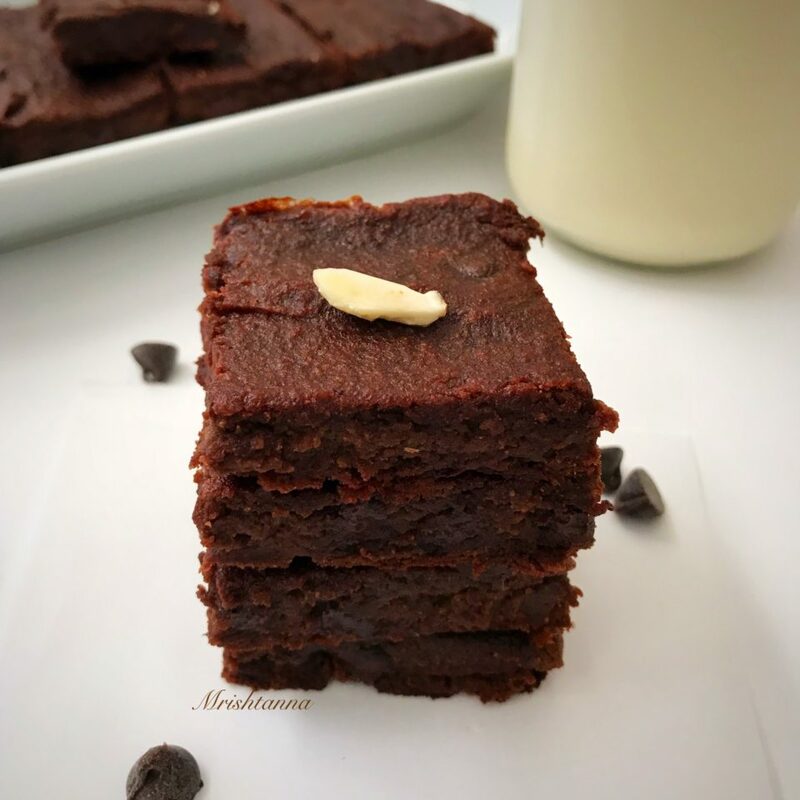 Yummy and an easy vegan brownie made with almond flour! In a blender mix all the ingredients except chocolate chips. Add the chocolate chips and mix well with a spatula. Pour the batter onto the baking tray. Bake for 30-35 minutes or until a toothpick comes out clean when dipped. Let it cool completely before slicing it. Serve with Chocolate syrup or ice cream! 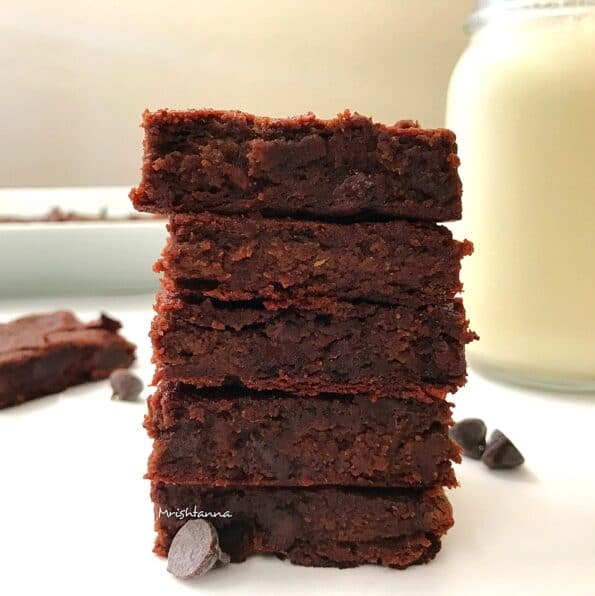 I’ve yet to try a vegan version of brownies…yours definitely looks delicious and has all the healthy stuff. Hi shweth! Yes you can but you need add little water to get the same consistency.